When Lily wakes from her nap, she immediately knows something is wrong! Her purr is missing! Surely her friends in the garden will be able to help her find her purr, but you'll need to follow her to find out. 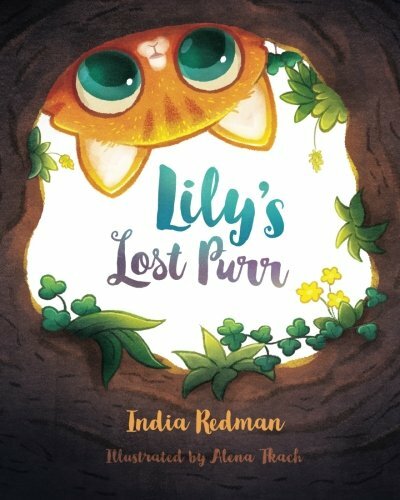 Vibrantly illustrated by Ukrainian artist, Alena Tkach, Lily's Lost Purr is India Redman-Robinson's story of finding the truth inside of all of us. From furniture building to painting, to jewelry to website and print and product design, India Redman's creativity takes on many forms. A storyteller from a young age, India has been writing privately for decades. This first foray into children's picture books is new, exciting ground. India lives in Los Angeles, but has traveled extensively, sometimes staying in areas for years to immerse herself in cultures that bring more brilliance to her life and her art.